We are manufacturer of Flexible Geared Coupling. - Angular: Where the Axis of the connected Shafts intersect at the center of the Coupling. In order to satisfy the ever increasing needs of our customers, we have been engrossed in providing a quality array of Flexible Gear Coupling Bush and Cashing. Designed using supreme-grade material, our range is easily adjustable. Stead Fast Engineers Pvt. Ltd. make Flexible Geared Couplings offer positive and reliable power transmission and are suited for varied applications. 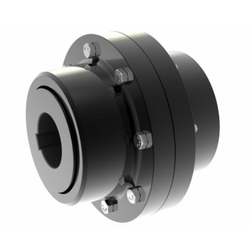 With the help of our experienced engineers, we are able to offer a range of Flexible Gear Coupling. Moreover, customization of our products is also offered by us to meet the client needs. 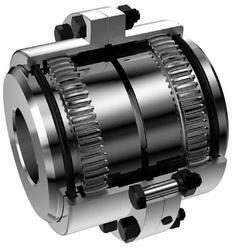 These couplings are made by our vendors team of experts making use of advanced tools and machines. Material : Steel hub and high graded plastic material sleeve. Extensively used for Cross Travel and Long Travel line shaft drives.